Tagore said (he wanted the country to be one) where the mind is without fear and the head is held high… Here the head is in the gutter and the mind is full of fear. 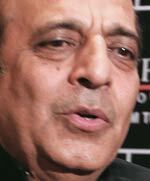 Dinesh Trivedi made an excellent impression at Rail Bhavan, the headquarters of the Railway Ministry, during the single year he spent in charge there. "I have never seen a minister who had a better vision for the Railways," says a personal secretary who has worked in the five-storey building for 23 years. With Trivedi unceremoniously sacked at the behest of Trinamool chief and West Bengal Chief Minister Mamata Banerjee for his temerity in raising railway passenger fares, the man prefers not to be identified. An executive director, who has spent 20 years in the ministry, seeking similar anonymity, agrees. "After Nitish Kumar, Trivedi was the first railway minister who talked about the future of the Railways," he says. "During pre-budget discussions, he looked not only at 2012/13. He spoke of what could be achieved in the next 10 years." Trivedi's personal style as a minister also won him admirers. "He was the only minister who moved around with just one peon," he says. "Very often he did not even have a pilot car accompanying him when he travelled." The personal secretary praises Trivedi's perfectionism. "Everything is so neat about him," he says. "He has such immaculate dress sense. And you should see his garden. It is probably even prettier than the prime minister's garden." All that is very well, but was he also naive? Did he not consult Banerjee before announcing the increase in train fares in his Railway Budget ? "My leadership knew exactly what was coming," he told Business Today. "It was conveyed through a bureaucrat close to her, an ex-Railways person." He does not elaborate on how she responded, nor has Banerjee discussed the matter. But her public reaction following the fare hike announcement leaves little doubt about her feelings. Still, knowing well his party and his chief's populist stance, why did he commit political suicide? Trivedi's own explanation is straightforward but inadequate: the Railways needed more money to beef up on safety and provide better facilities. The Railways' expense outlay for the current financial year is Rs 60,000 crore. "I asked for Rs 45,000 crore," he said at the India Today Conclave on March 17. "Pranab (Mukherjee, Finance Minister) said 'I don't have the money. I can't do it'." But the gain from the hike Trivedi announced would hardly have met his need. "The price hike would have brought in Rs 4,000 to 5,000 crore which is a small contribution," says Manish R. Sharma, Executive Director, Transport and Logistics, PricewaterhouseCoopers. "Many such steps will collectively contribute to the growth." So the mystery remains: why did he do it? Trivedi still defends his step. His explanation is straightforward but inadequate: the Railways needed more money to beef up on safety and provide better facilities"
Some suggest that this Trinamool Congress member elected from Barrackpore, West Bengal, may well have been overly influenced by Congress leaders, many of whom are his close friends. They point out that Trivedi started his political life in the Congress, quitting only in 1990 to join the then newly formed Janata Dal. When Banerjee first sought his removal, Pranab Mukherjee requested her to let Trivedi remain in office till at least the Union Budget had been announced. Sam Pitroda, advisor to the Prime Minister, who also chaired a committee on the Railways' modernisation, is also his close friend. Others claim that when Banerjee, who preceded Trivedi in the Rail Bhavan, moved to take over as West Bengal Chief Minister last year, she initially had his colleague Mukul Roy appointed in her place. It was only Congress opposition to Roy that led her to name Trivedi - a move Roy and his supporters never forgave Trivedi for. "In regional parties there is a lot of intra-party rivalry," says a close aide of Banerjee. "Mukul Roy believed he would remain railway minister. When he was removed it caused automatic enmity." Roy has since been given Trivedi's job. Trivedi's performance as railway minister won him respect. He set up several committees to improve overall performance: one each for improving railway stations, logistics, safety, regulating of tariffs and monitoring project implementation. Close aides confirm that before the Railway Budget he worked late into the night with his officials, discussing threadbare the reports on rail safety by the Anil Kakodkar Committee and the one on modernisation by the Sam Pitroda committee. "Trivedi was far more managerial and focused in his approach than any other minister," says Vinayak Chatterjee, Chairman, Feedback Ventures. Trivedi still defends his step, noting that rates have to inevitably rise at some stage, and the Railways had not raised fares for eight years. "Tram fares have been increased in Kolkata," he says. "Electricity rates have been raised in Kolkata." He also professes not to be affected by his tribulations. "It is not the end of the road," he told the Conclave. "We can agree to disagree. If she (Banerjee) is happy with my head, let it be." What are his future plans? "The system is on trial, I am not," he says. 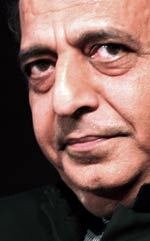 "I will play golf with Nandan (Nilekani). Let them fight. God help Mukul Roy."